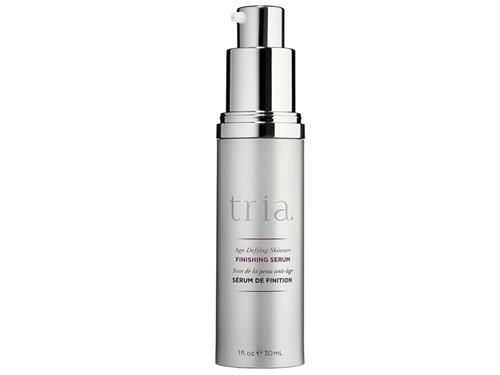 Soothe and hydrate laser-treated skin with Tria Age-Defying Skincare Finishing Serum. Follow each laser treatment with our Finishing Serum, specifically formulated by dermatologists to soothe and hydrate laser-treated skin. With Retinol, Sea Fennel Extract, Olive and Avocado Oils, skin sees a visible increase in elasticity and firmness while reducing the appearance of fine lines and wrinkles.